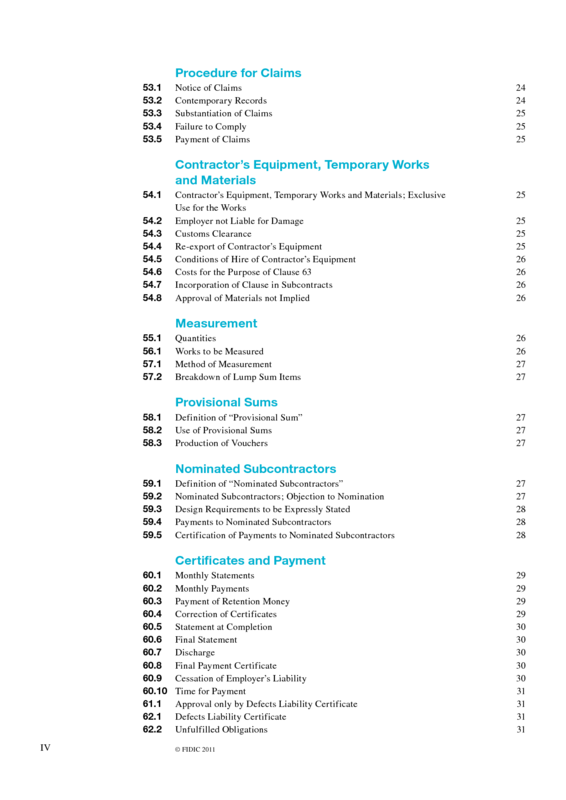 Conditions of Contract for Works of Civil Engineering Construction (4th Edit. 1987 reprinted 2011, reprinted 1988 with editorial amendments, reprinted 1992 with further amendments). Part I: Gen. Cond. 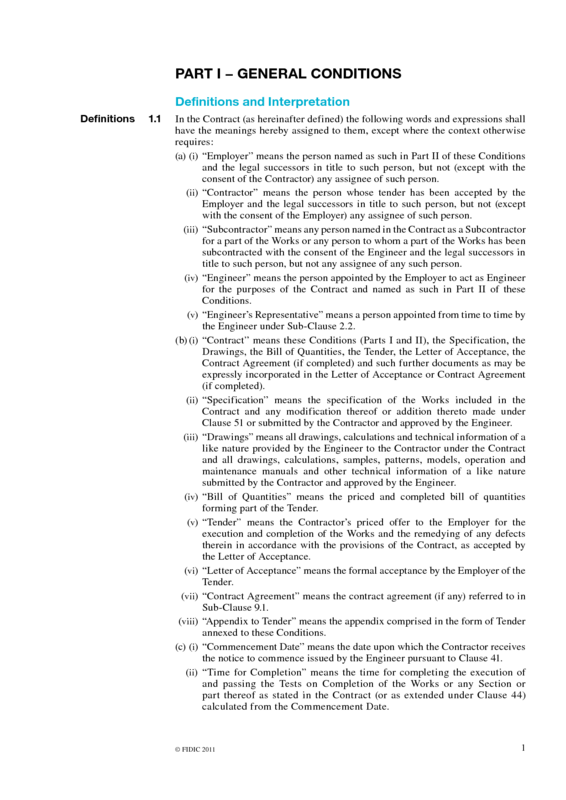 with forms of tender + agreement; Part II: Cond. of Part. Appl + guidelines for Part II clauses. Electronic version in encrypted PDF. 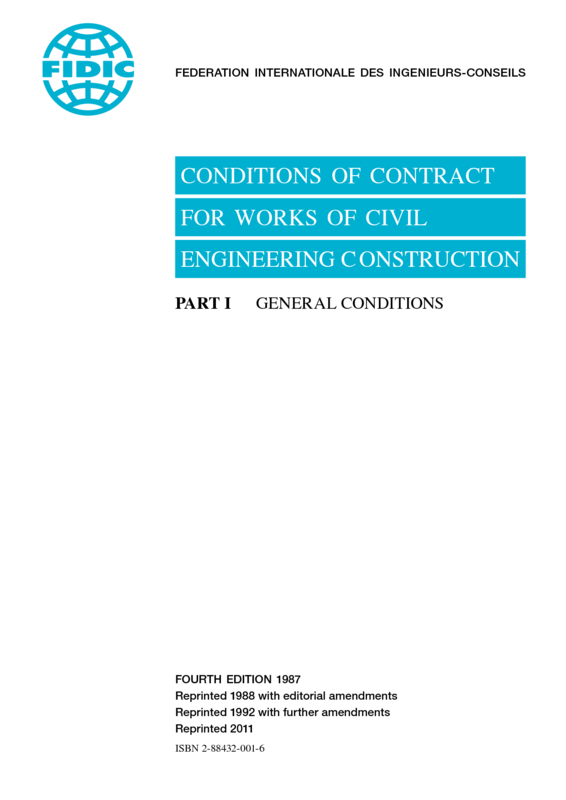 Supplement to the 4th Edition, 1987 of the FIDIC Conditions of Contract for Works of Civil Engineering Construction (1st Ed, 1996). 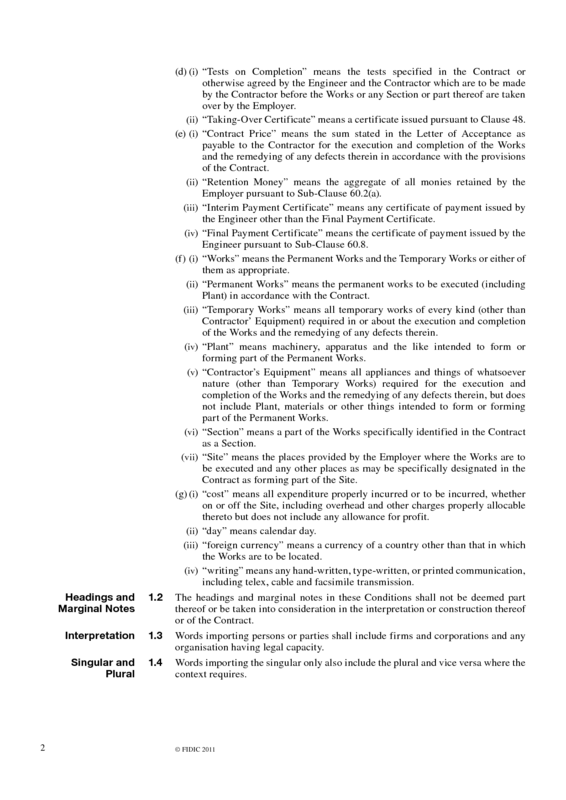 Section A: Dispute Adjudication Board; Section B: Payment on a Lump Sum Basis; Section C: Late Certification. Guide to the Use of FIDIC Conditions of Contract for Works of Civil Engineering Construction (1989). Includes Red Book Conditions. Introduction to the FIDIC Conditions of Subcontract for Work of Civil Engineering Construction (1st Edition, 1995). 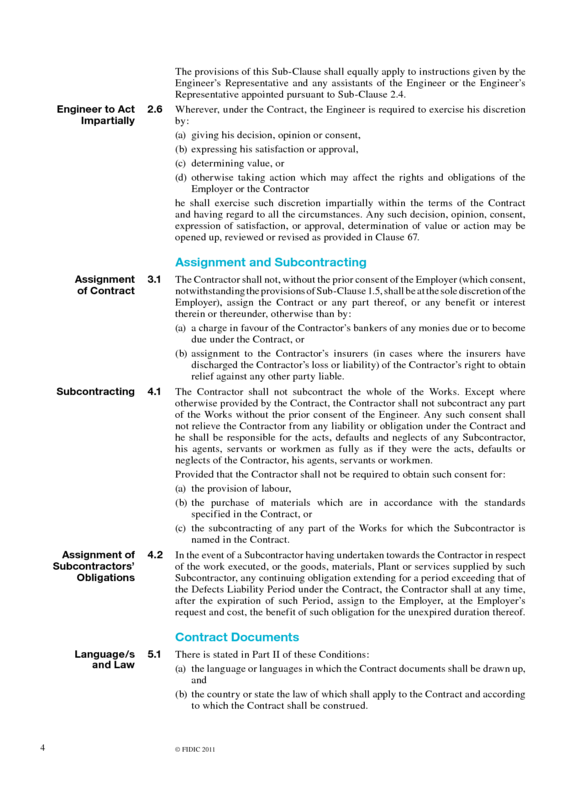 The terms of the Fourth Edition of the Conditions of Contract for Works of civil Engineering Construction have been prepared by the Fédération Internationale des Ingénieurs Conseils (FIDIC) and are recommended for general use for the purpose of construction of such works where tenders are invited on an international basis. The Conditions, subject to minor modifications, are also suitable for use on domestic contracts. 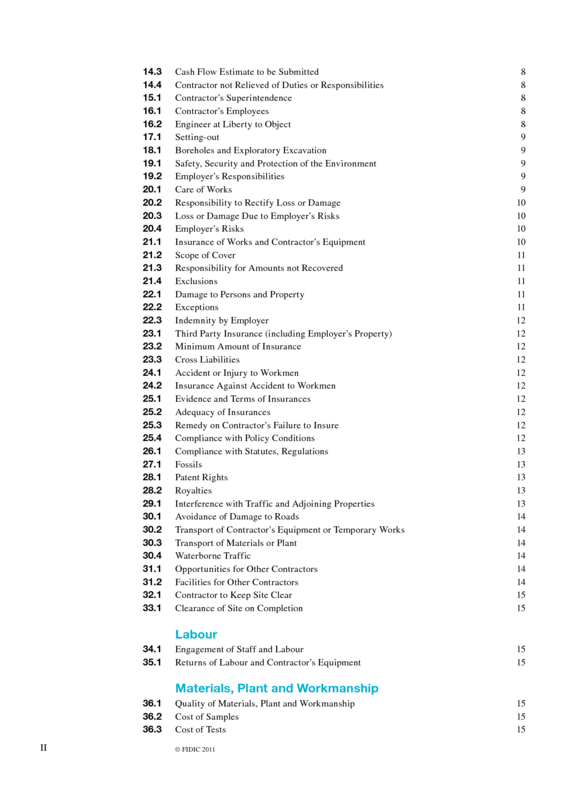 The terms of the Fourth Edition of the Conditions of Contract for Works of Civil Engineering Construction have been prepared by the Fédération Internationale des Ingénieurs Conseils (FIDIC) and are recommended for general use for the purpose of construction of such works where tenders are invited on an intemational basis. The Conditions, subject to minor modifications, are also suitable for use on domestic contracts. The version in English of the Conditions is considered by FIDIC as the official and authentic text for the purpose of translation. In the preparation of the Conditions it was recognised that while there are numerous Clauses which will be generally applicable there are some Clauses which must necessarily vary to take account of the circumstances and locality of the Works. The Clauses of general application have been grouped together in this document and are referred to as Part I - General Conditions. They have been printed in a form which will facilitate their inclusion as printed in the contract documents normally prepared. The General Conditions are linked with the Conditions of Particular Application, referred to as Part II, by the corresponding numbering of the Clauses, so that Parts I and II together comprise the Conditions governing the rights and obligations of the parties. Part II must be specially drafted to suit each individual Contract. When dredging and certain types of reclamation work are involved special consideration must be given to Part II. 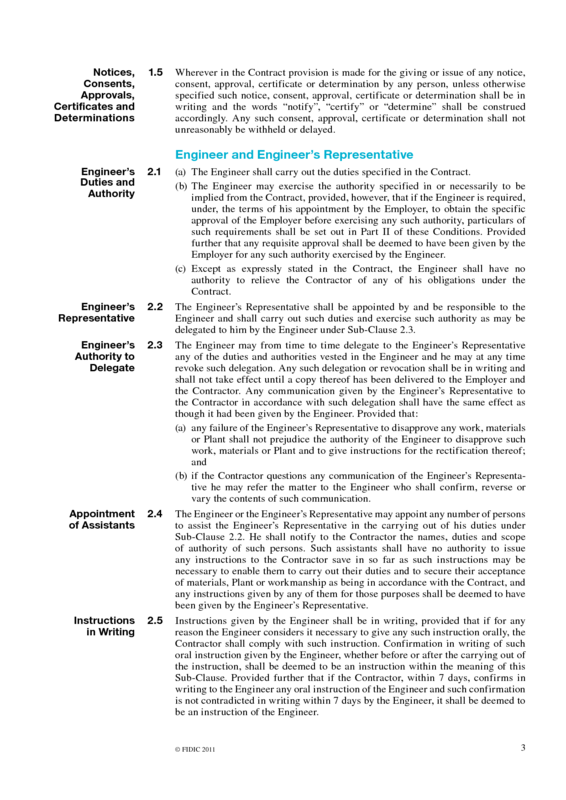 To assist in the preparation of Part II explanatory material and example clauses are published with the Conditions in a separately bound document entitled "Conditions of Contract for Works of Civil Engineering Construction, Part II - Conditions of Particular Application, with Guidelines for preparation of Part II Clauses, Fourth Edition". 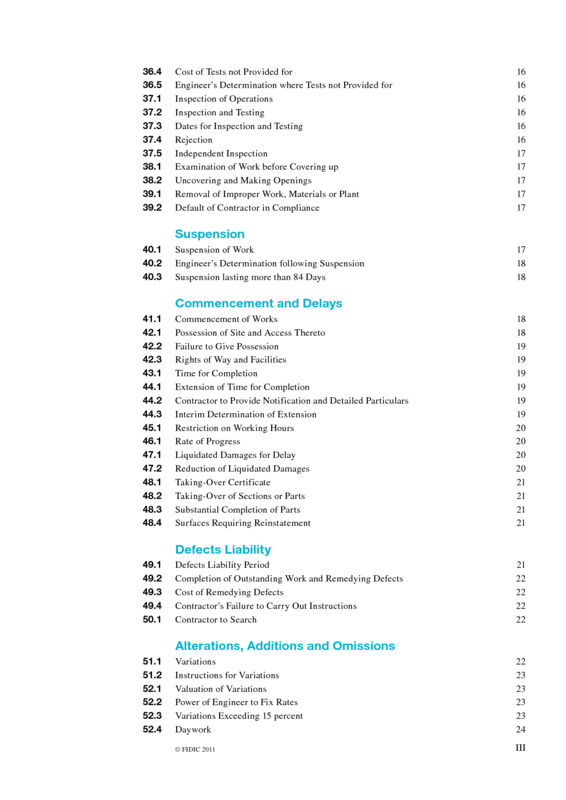 FIDIC has published a "Guide to the Use of FIDIC Conditions of Contract for Works of Civil Engineering Construction" which includes comments on the provisions of the Fourth Edition of the Conditions. Users of the Fourth Edition may find it helpful to refer to this Guide. 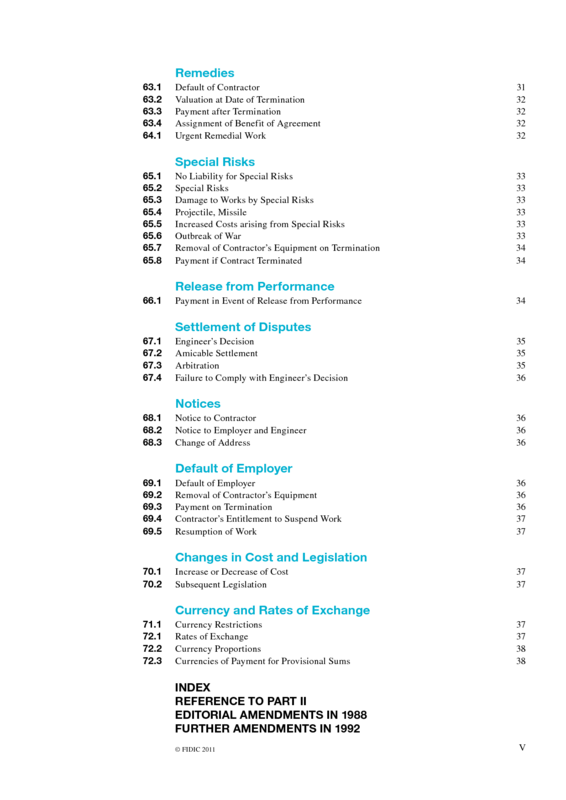 It may also be helpful for users to refer to other FIDIC publications, such as: Tendering Procedure (First Edition 1982) Construction, Insurance and Law (1986) FIDIC gratefully acknowledges the suggestions and comments it has received during the preparation of this edition from European International Contractors (E1Q as mandatory of Confederation of International Contractors Associations (CICA) with participation of Associated General Contractors of America (AGC). 58.1 Definition of "Provisional Sum"